Hey, all! So Harry Potter was TOTALLY awesome. They of course changed some stuff and left some stuff out... but it was fabulous. Lots of great funny moments - my favorite being when Harry took the Felix Felicious potion... SO funny. Daniel Radcliffe is really turning into a good little actor. Lavender Brown was hilarious - as was her Won-Won. Snape was delicious as always. Great movie and I can't wait to see the IMAX version on the 31st! We went ahead and got our tickets while we were there. What else... we've got 5 doggies with us now. They've all been pretty good so far, but I do feel like I'm running a doggie day care! Really meal time is the most challenging part... because some of the lot will go bonkers if the other doggies get near their food. So it takes a little careful planning. Not much else going on this weekend though... I did have my 3rd ultrasound yesterday and my lining has thickened some, but it's still not where it needs to be. My doctor still wants to go through with the insemination this cycle, but he said if we don't get pregnant this turn, he wants to discuss more advanced measures. Not sure what that means... I'm just trying to focus on this cycle for now. I'm hoping I don't get a surge over the weekend so that my lining has time to continue to grow. So we'll see... looks like the IUI won't happen till Tues/Wed unless I surge before then. Ya know I'll keep you updated! OK so anyway, seeing as summer TV totally bites for the most part, I get my hulu on a lot - especially while on the 'puter. Did y'all catch the sneak preview of Glee back in May? The show premieres on Fox this fall, but they ran the pilot this past spring to get you hooked. It's just absolutely delicious and I can't wait for the show to get here in September! 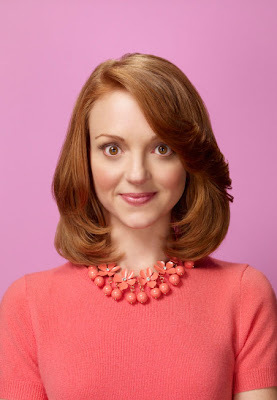 Do go on to hulu and watch the pilot and see if you don't fall in love. The ending number - a remake of one of my favorite Journey songs - is probably my favorite part. But the whole thing is fab, so take a peek and tell me what you think! 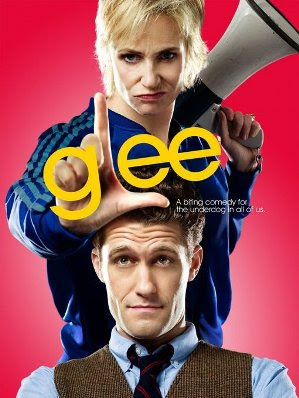 Loved, loved Glee back in the spring...as a former HS teacher, I can't help but love the HS comedy.dramas...this was smart & funny! Excited to hear that HBP did not disappoint...going tonight! I totally loved the pilot too! I can't wait for it to finally be on!! It is SO my kind of show - I can't wait for the fall!